Networking events can be intimidating for someone who has never attended one before, and even sometimes for a seasoned veteran. However they are very important for any budding entrepreneur, and not that difficult to excel in, with a little knowledge of how to get the most out of them. Here at Pan Atlantic we take a quick look at some tips from networking professionals on how to get the most from a networking event. There is always the chance that you will meet a useful contact at any event, just by randomly circulating amongst the crowd. Those who really make the right connections have usually done their research first. Find out who will be there in advance, and focus on making connections with the right people, not just with people. You may be a social butterfly, and be full of excitement to talk to everyone and anyone. However no-one likes to have a conversation with someone who has half of their attention elsewhere. Spend less time scanning the room and more time engaging with the person you are speaking to. At Pan Atlantic we believe that face-to-face communication is a skill, and developing that skill should be a priority for any entrepreneur. You may think that a group of people standing in a circle and talking animatedly seems like the best place to be, but chances are they won’t welcome a new addition at that point. If you don’t have a pressing conversation to be in, try speaking to someone who is standing alone or looking unengaged. They’ll thank you for it, and they’re bound to remember you in a positive light. We’ve all been that person who felt out of the loop now and then. Before you leave any interaction, consider how much you have given, rather than received from it. Consider asking the other person how you can help them. 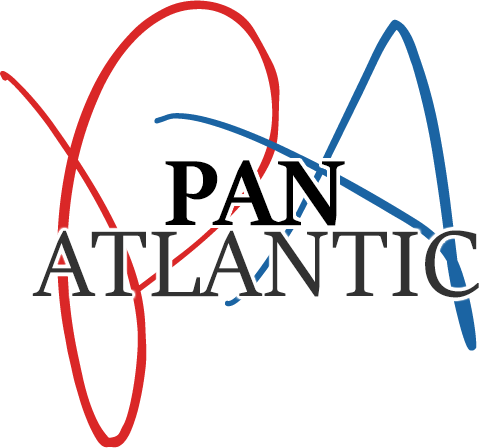 At Pan Atlantic we think that giving assistance to someone else is the best way to get ahead. Everyone wants a leg up, but not many are willing to give it, and those people stand out.